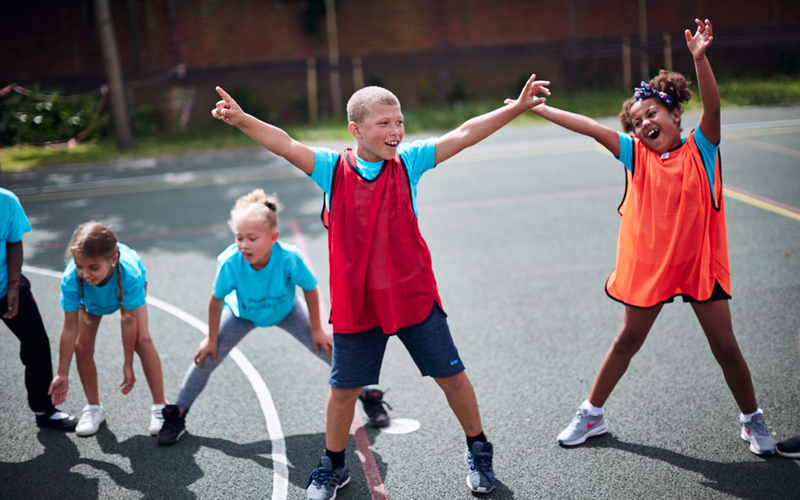 This pack is designed to help pupils at KS1/Foundation develop their ability to receive and trap incoming equipment – usually balls – accurately and effectively. 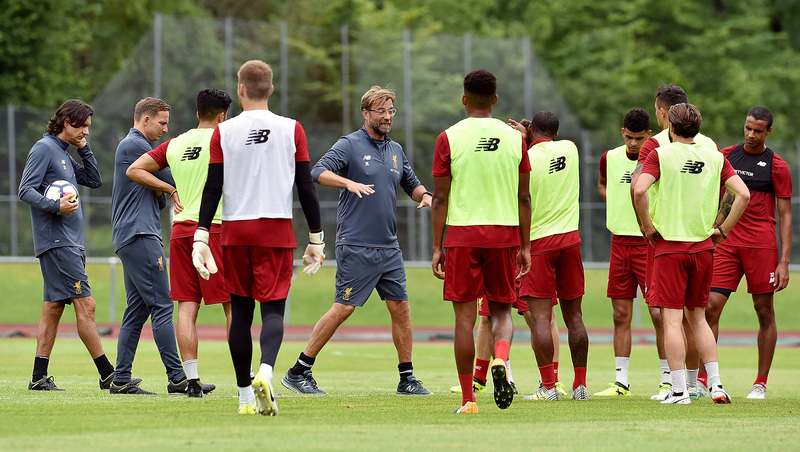 These skills are used in many sports: not only invasion games such as basketball, netball, football and rugby, but also striking-and-fielding games such as softball and cricket. activity Game: How many ways? 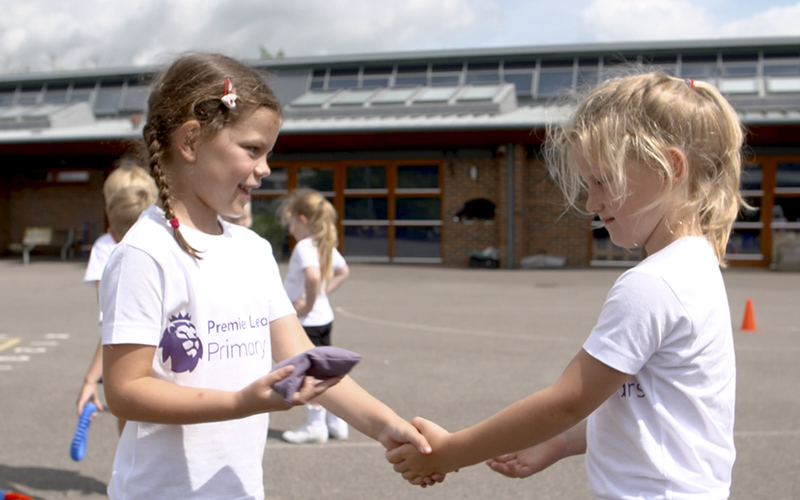 This film shows the warm-up 'Dynamic detectives', the skill development 'Dynamic duos' and the game 'How many ways?' in action. Pupils practice sending and receiving different equipment independently, as a pair and in teams. 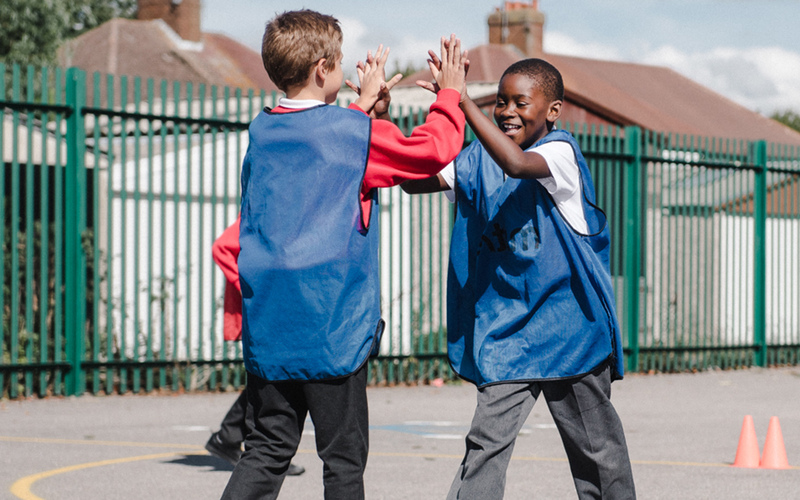 The 'Dynamic detective' activity lets pupils explore the skills of catching with hands and trapping with feet. 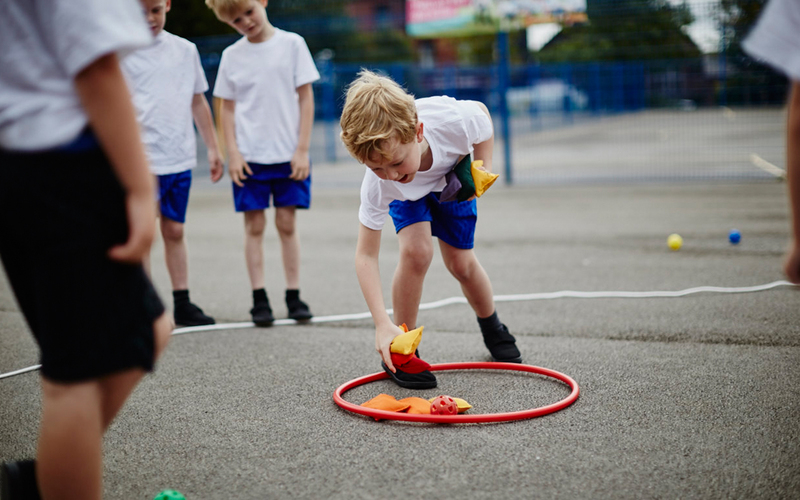 This is a warm-up that will definitely keep pupils' attention: it includes rolling, kicking, sliding and chasing, throwing, bouncing, trapping and catching! This is a great activity for developing catching and trapping skills. Pairs of pupils focus on catching with hands and trapping with feet. Each 'dynamic duo' uses a range of equipment to practise a variety of receiving and trapping skills. 'How many ways?' 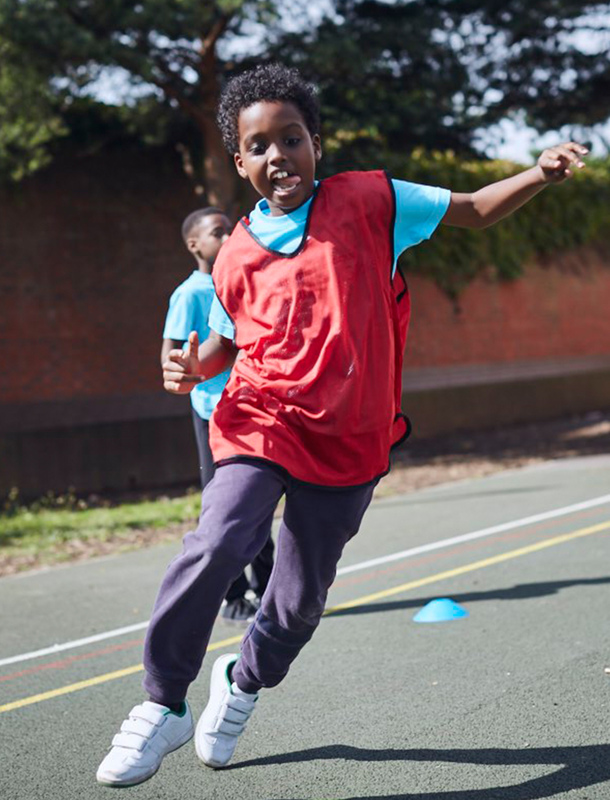 is a circuit game that gives pupils the chance to use a range of equipment for receiving. The circuit context provides an opportunity for pupils to apply the skills they've practiced in a fun challenge. View Game: How many ways? While walking around to cool down, pupils review their learning in pairs. They then work in larger groups to visually evaluate their progress on a learning pitch. This is a quick and fun activity that will help develop your speed of movement to trap a ball with your foot. You can play it on your own or with a friend.